GHS Strings PF170 5-String Banjo Strings, Stainless Steel, Regular Light (.009-. PREMIUM CARBON STRINGS SET FOR TURKISH LOUTA LAVTA KURSCHNER !!!!!!!!!! Yay (At kili)/ Bogen. - Recine / Kolophonium. 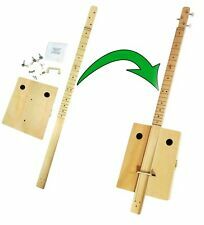 Complete Fretted 3-string DIY Cigar Box Guitar Kit - VERY easy to assemble! Quickly build your own easy-to-play cigar box guitar! Because of the tuning and the way the frets are spaced, there are effectively No Wrong Notes! Anyone can easily play a Strumstick - really. To see the whole line of Strumsticks go to strumstick dot com. The solid spruce top and 3 piece rock maple body make it durable yet produce amazing tone. Made from Solid Spruce. Portable and Compact yet hard to put down! Satin Oil Natural Finish. Sheet Music. 36" in length. This is not a Kentucky banjo. It can be any note comfortable to the vocals. They are not limited to one tuning. The left most key moves but does not fret the strings, it is a vestigial key and plays the open notes. Be advised! I know nothing about this item and all information about it is speculation on my part from research conducted by searching the internet. It measures 34 inches in overall length It is obviously brand new but the case may have been used. No returns, so study the pictures carefully and make your final decision before you purchase it. Santa Rosa KQ100K 10 String Cuatro Kit. Santa Rosa Cuatro is designed in the modern Puerto Rican style. The KQ100K has a Golden Aged Honey Maple Back and Sides plus Natural Spruce Top, Rosewood Fingerboard and Bridge, Nickel Silver Frets,10 Nickel Silver Machine Heads with Rosette 34-1/2”L, 11-1/2” and 3-1/4”D. Screws that we use for installation of the fretboard also double as fret position markers. 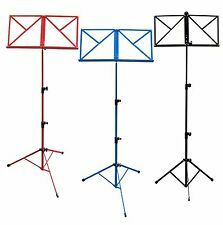 They were designed for the stick-on box style of guitar, but they could also be utilized for neck-through guitars as well. 6 sets La Bella OU80A LaBella Oud Strings Set, Oud Strings set Arabic Tuning. 6 sets of La Bella oud strings Arabic tuning OU80A. : 6Sets of La Bella OU80A, Oud Strings set Arabic Tuning. Arabic oud strings set. The oud is the classical short- necked, bowl-backed fretless lute of the Arabic world. Miniature version of Sarangi, beautifully hand crafted and nicely inlaid. There are 3 main strings that overlay the sympathetic strings that resonate over a fiber soundboard. Includes bow. 12 sets La Bella OU80A LaBella Oud Strings Set, Oud Strings set Arabic Tuning. 12 sets of La Bella oud strings Arabic tuning OU80A. : 12 Sets of La Bella OU80A, Oud Strings set Arabic Tuning. Arabic oud strings set. The oud is the classical short- necked, bowl-backed fretless lute of the Arabic world. 12 S trings Pyramid Premium Oud - Lute Strings - Clear Carbon - (MADE IN GERMANY). Pyramid lute/oudpremium setis the most professional high-qualityset which exists. This set has been used by most professional oud players around the world and at the most prestigious events and concerts. Kabak Kemane. - Yay / Bogen. Resonator kit, Resonator Cone, Dobro, National, Cigar Box Guitar, Ukulele. TheDelta resonator Cone was hand spun in the traditional way, not pressed or spunby a CNC machine. TheDRC cone is made from Aerospace Aluminum Foil, although the foil is very thin,the way it is hand spun is where it gets its strength. 12 SETS , PYRAMID OUD STRINGS ORANGE LABEL made in Germany. Pyramid 650 oud strings. (650 000, orange label) is Pyramid's basic 5-course Arabic tuning set, with wound 3rd course. This is a 10-string set. PYRAMID OUD STRINGS ORANGE LABEL 12 SETS. : 12 sets of Pyramid 650 oud strings. Die Harfe ist gut zu transportieren und für die Praxis/ das Studio - ideal. Ancien petit banjo à restaurer sans cordes. -diamètre de banjo ( au dos ) : 19,5 cm. Traces d'usage ,vendu en l'état, voir les photographies. Bob designed the Strumstick to play in just one key instead of all 12 keys, so that learning is much much easier, especially for total beginners. McNally Strumstick. It is incredibly easy to learn, even for the complete musical novice, but has endless possibilities for skilled musicians. The Peace design on this tenor uke is a very special one for those at Luna as it embodies a philosophy they hold dear. The Maluhia Tenor Ukulele features a laser cut peace sign at the sound hole and the word "peace" in different languages forming a graceful continuum across the sound board. BERIMBAU HANDMADE IN ORIGINAL BIRIBA. NATURAL GOURD CAXIXI. NATURAL GOURD & CAXIXI. TO BETTER PROTECT THE CABACA AND CAXIXI. The berimbau, as played for capoeira, basically has three sounds: the open string sound, the high sound, and the buzz sound. 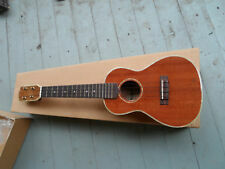 Bushman Model BU 76 Ukulele. Bowed Psaltery. Condition is Used. Very good condition. No brand name. Handmade. Nicely crafted. Approximate measurements: 23.5” Long 8.5” Wide at its widest point 1 3/8” Thick Used, with very mild signs of wear, but no damage. Please review all pictures. Just comes with what’s in pictures. Also, when I mark an item as shipped, it is in the mail carrier’s possession, and does not just mean I printed the shipping label. Thank you for viewing my listing. Scale length: 15.8 (40 cm). (Bob designed the Strumstick to play in just one key instead of all 12 keys, so that learning is much much easier, especially for total beginners. The original Strumstick was tuned to G. The Strumstick Grand, with its longer scale is designed for D tuning) though can go down to C or up to E) The longer scale, larger soundbox and lower tuning produces a deeper tone than the standard G tuning (see pic for size comparison). Die Lautstärke- und Tonregeleinheit wird zwischen den mittleren Saiten montiert. Bei dem geringen Energieverbrauch des Systems reicht die 3V Zell-Batterie (2032) für ein Jahr. Zubehör und Saiten. Daher wird der SH 965 NFX von den weltweit begabtesten Bassisten genutzt. 6 sets La Bella Oud Strings Turkish Tuning OU80 made in USA. 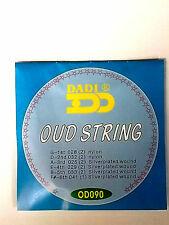 6 sets La Bella Oud String Turkish Tuning OU80. The oud is the classical short- necked, bowl-backed fretless lute of the Arabic world. With 11 or 12 strings in 5 or 6 courses, it is usually tuned d'd'/aa/ee/BB/AA/G. 3 sets Pyramid Oud strings orange label #650/11 (6 courses),MADE IN GERMANY. 3 sets Pyramid 650 oud strings. This set (650/11, orange label) is Pyramid's basic Arabic tuning set. This set now includes the single bass course. 3rd.024in wound (silver plated copper). MADE IN GERMANY. Bow (hand made). - soft shell carrying case. It does not affect playability or structure. Strings are in excellent condition, just tune it and play. Stand is not included. It features a solid Spruce top on Rock Maple back and sides in a natural semi gloss finish. 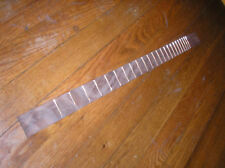 The Rock Maple neck has 7 frets, a 20.75" scale and a 1.28" nut width. Snare Drum Size Face Wood: Spruce. Diese Singende Säge mit Buchenholzgriff ist aus Kohlenstoffstahl gefertigt, was sie sehr flexibel und einfach spielbar macht. Sie wurde speziell als Singende Säge entwickelt. Ihr Tonspektrum reicht ungefähr über zweieinhalb Oktaven (F3-A5). Complete string set for your guitarzither. Jede einzelne Saite ist perfekt gekennzeichnet und kann nicht verwechselt werden. Kompletter Saitensatz für Ihre Akkordzither. bestehend aus hochwertigen Saiten aus. Persian Tar by Pezhman Comes with hard case, extra tar strings, plectrums and waxes, plus two video course cds. This set has been used by most professional oud players around the world and at the most prestigious events and concerts. This set includes 11 strings as follow gg - 070 Clear Carbon. c'c' - 063 Clear Carbon. Handmade Kemane in Turkey. Its back made of Selected Gourd and the design of the back have a very beautiful and attractive shape. Bowl is Gourd. 3 mm string high on fingerboard. 15 cm depth. Figer neck,fix. 4 sets La Bella OU80A LaBella Oud Strings Set, Oud Strings set Arabic Tuning. 4 sets of La Bella oud strings Arabic tuning OU80A. 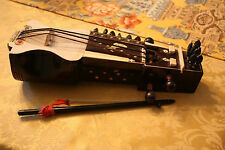 : 4 Sets of La Bella OU80A, Oud Strings set Arabic Tuning. Arabic oud strings set. The oud is the classical short- necked, bowl-backed fretless lute of the Arabic world.